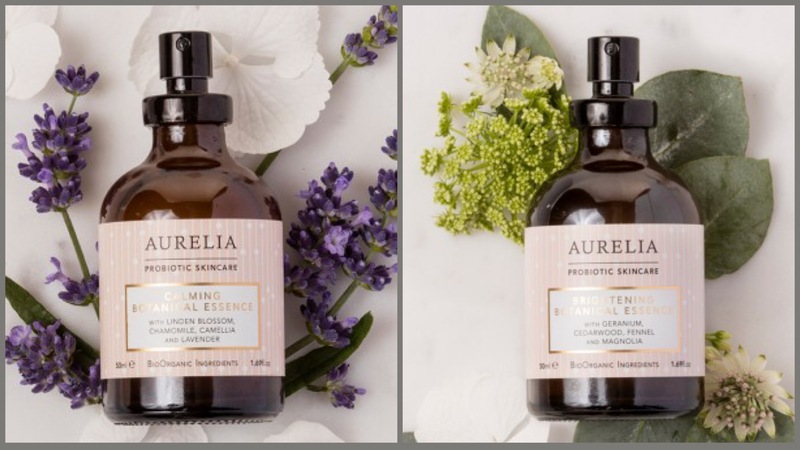 As many of you will know by now, I have been a huge fan of Aurelia Probiotic Skincare ever since I discovered the absolute joy that is their beautiful Miracle Cleanser earlier this year. I loved the products so much that I even posted a simple “self-care” routine (here) using just two of them, to show that you don’t always need an elaborate and complicated lineup to pamper your skin. Since then, the cleanser has become an integral part of my skincare stash and just this week it has helped get my skin back on track after an allergic reaction that left it red, itchy and inflamed. 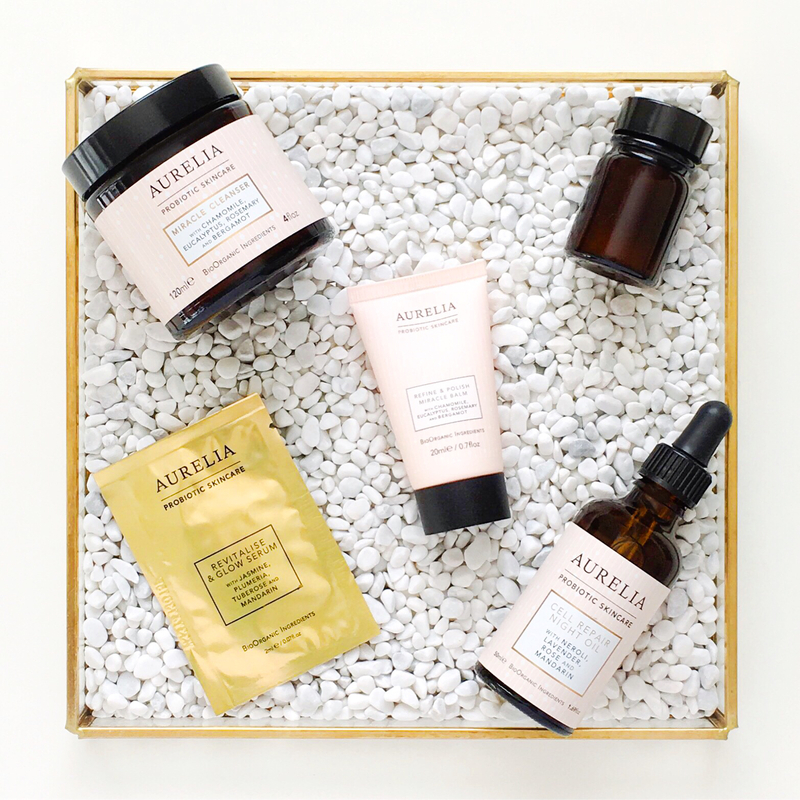 Aurelia are truly one of the most beautiful brands out there with products that actually deliver, so when I heard they were opening their very first pop-up boutique in London I had to go. Last night I had the pleasure of hanging out with some of the amazing team, had a facial that healed my skin and also got to see their new products, which I am so excited about to tell you all about! 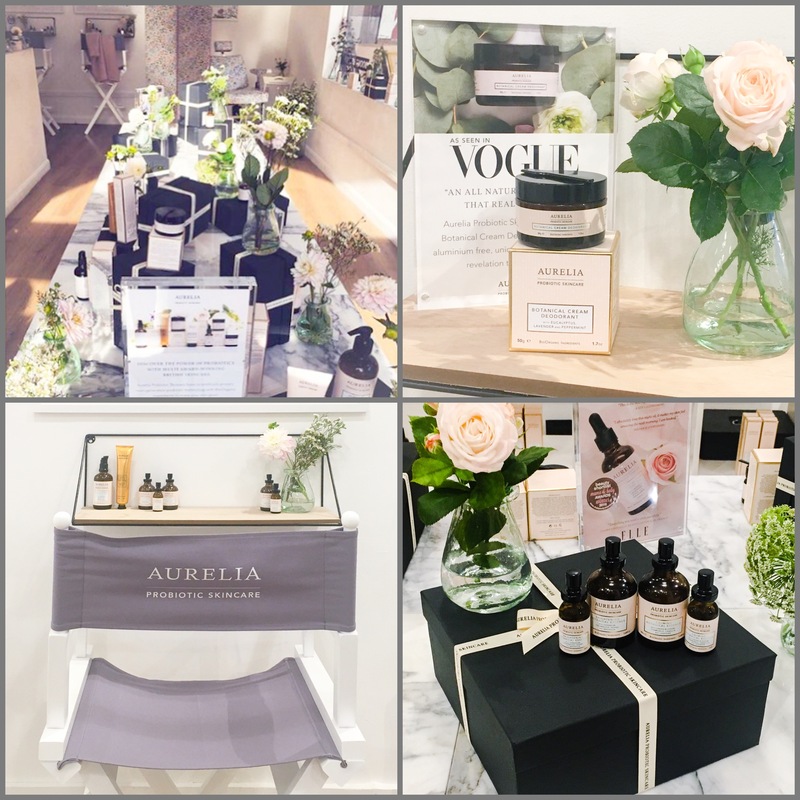 In true Aurelia fashion, the boutique has a gorgeous botanical workshop vibe with fresh wild flowers everywhere, a beautiful marble display table and their award winning skincare dotted all over. The space is located in Mayfair, just down the street from Green Park station and is light, bright and airy with plenty of space to walk around in. The boutique is open for the next ten days (until the 15th of this month) from 10am-7pm and if you’re in the London area you have to check it out. 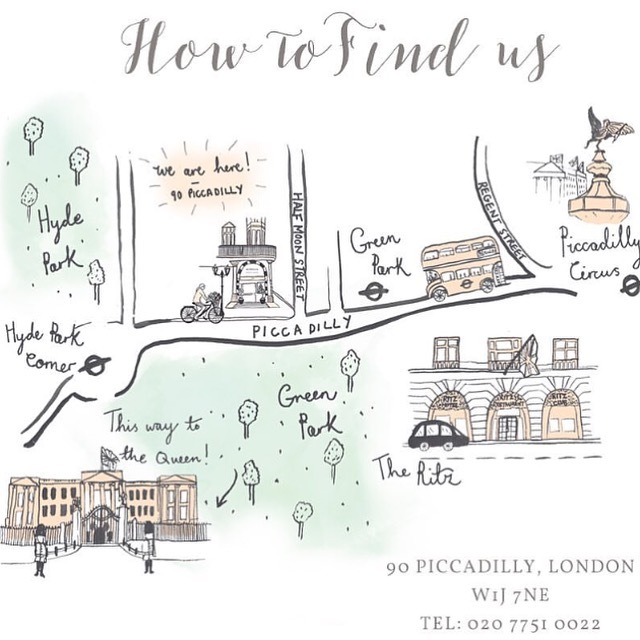 It’s in an amazing location, a few minutes away from places like Harrods, Hyde Park and The Ritz, so if you’ve coming from out of town, you can make a fun day of it and see the sights too. It’s really a dream of a location and I wish it wasn’t temporary because last night was so much fun. I was running very late yesterday and sadly missed the founder Claire, who had been there earlier in the day, but I did get to meet the lovely Marketing Director Hannah (she runs their Instagram account) who filled me in on what the pop-up is all about while giving me the most incredible mini hand and eye treatment that made me fall madly in love with their Eye Revitalizing Duo. Hannah explained to me that the purpose of the boutique was to introduce the new launches to their customers and the general public and give them a chance to play, test and experience the products in person as well as meet the team behind the brand. I thought this was a brilliant idea and for me it was such a pleasure to finally meet Hannah, who I have talked to through Instagram for months now, but to also physically see the new products. Aurelia have been working on some pretty big things these past few months with the already much raved about Botanical Cream Deodorant (the India Knight adores it) and now with the upcoming launch of the Brightening and Calming Botanical Essences. Yep, you read that right – they will be releasing essences very soon and all I can say is wow! Both are truly beautiful with incredible ingredients, the loveliest fine mist spray and gorgeous travel friendly packaging. I have a feeling these are going to be a huge hit and ever since my allergic reaction I have been dreaming about a probiotic based toner/mist and now here they are. Both were used on me during my mini hand and eye treatment and my facial and it’s really impossible to pick a favourite. I naturally gravitated towards the Brightening one because I love those type of products but the Calming one is something that my reactive skin needs and both smell heavenly. These unfortunately don’t launch until next month, but I highly suggest you get ready because you are going to want them. Aurelia’s incredible probiotic technology (which is at the core of all the products) is one of the main reasons why my skin has been healing so quickly from my allergic reaction. I have been (and still am) using the Miracle Cleanser daily and it has helped to soothe the inflammation, begin healing the blemishes and calm any redness or irritation. I also used the cleanser as a healing mask and that helped a lot because the probiotic culture in it is deeply reparative, stabilizing, protective and revitalizing. These new essences will work even better as Bifida Ferment Lysate (probiotic) is the second ingredient in both, so keep an eye out because this is a launch you will not want to miss! 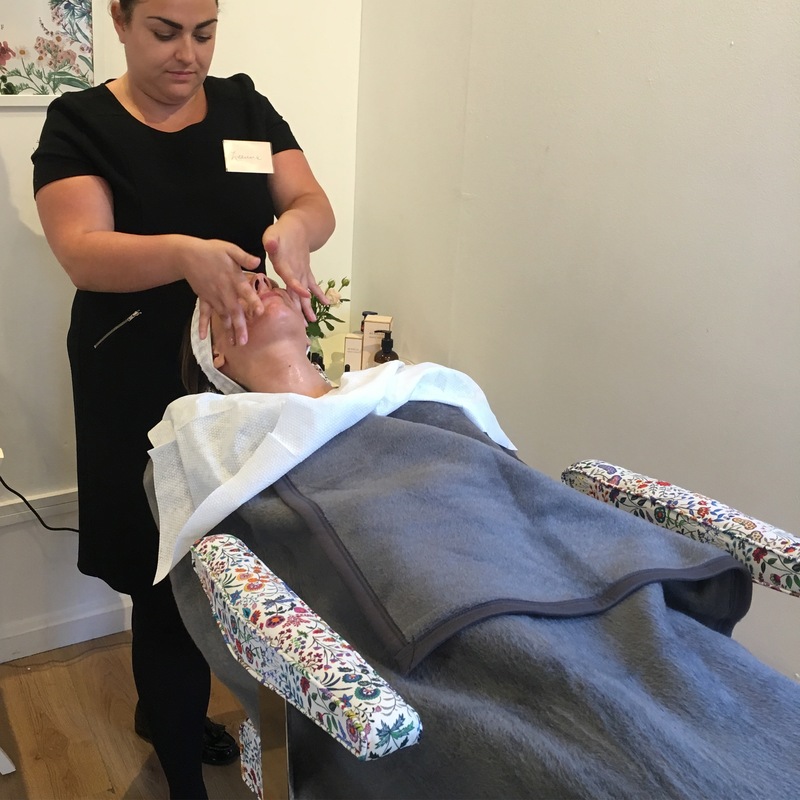 Another great thing about the pop-up boutique is they are offering exclusive 20 minute treatments that you can’t get anywhere else (read more about them here) and they only cost £20, which is redeemable against any purchase in store. Now, you would think that after my bad experience with Skin Laundry just last Friday that another facial would be the last thing I would want, but after how the Miracle Cleanser helped my skin so much, I knew I could trust Aurelia and oh, how right I was. I was booked in with the amazing Leanne, who not only has the most beautiful eyes and killer brows (see below), but her skin was just glowing, so you can imagine how excited I was. She is also the loveliest person and I could have sat in her more than capable hands for hours and really, this facial and what she did for my skin is why I couldn’t wait to write about the pop-up. I explained to Leanne that after my “Laser and Light” treatment at Skin Laundry, I experienced a bad reaction to the Oxybenzone in the sunscreen that was applied afterwards. Even though my skin was a lot better by the time of the pop-up, it was still somewhat inflamed, dull and generally not 100% happy. She first gave me a thorough and luxurious cleanse and massage with the Miracle Cleanser and then misted my face with the Calming Essence before applying plenty of the Revitalise & Glow Serum. Next, she massaged my eye area with the gorgeous Revitalising Eye Duo, which felt truly amazing around my tired eyes. Lastly, she spritzed liberally with the Brightening Essence before applying the Cell Repair Night Oil to seal in all the goodness. It was a wonderful sensory experience thanks to Leanne’s perfect touch, the beautiful scents and wonderful skin soothing textures of the products and the 20 minutes flew by. I was in a state of sheer bliss afterwards – calm, relaxed and happy and my skin had a nice glow to it again. I cannot recommend this facial enough. Leanne is now a total legend in my book and this really is the best way to experience the brand. You can’t help but slow down, breathe deeply and just relax with these products and I was not at all expecting to be that impressed by the new to me serum and eye duo – they really wowed me! I seriously have a new found love and admiration for the brand after this facial, but the best part of it was how my skin looked this morning, because it was completely unexpected. Obviously, the true test of any facial is how your skin looks afterwards and mine looked good. As Leanne had basically done a nighttime routine on me, I left everything on and went to bed, not really expecting anything, but also not worried that my skin would freak out. When I woke up I could not believe what I saw – my skin was perfectly calm, soothed and balanced without a single trace of inflammation. Not one. I even checked my skin in different lighting just to be sure and there was nothing – no under the skin bumpiness, no blemishes, no redness, no irritation, nothing. Just very normal, nourished, happy skin, which is why I have repeated as much of the routine as I can for tonight’s mini at-home spa session. It is so interesting to me how different the results of both “facials” ended up being. With the Skin Laundry I expected a lot because it was using lasers and light technology but because of an ingredient in the products, I ended up with worse skin than I went in with but with Aurelia, just from using a mix of great products and massage techniques, Leanne undid everything the reaction had done to my skin in just 20 minutes. This is such an important lesson because when going for a facial you really must look in to the products being used on you, but it’s also good to know you don’t always need to go the high-tech route to see results. It is crucial to get custom/bespoke facials (I had one that I am obsessed with and will be talking about it very soon) whenever possible to really address your personal skin needs, because this is how you get the best results. Not every brand will work for you or be suitable for your issues, so keep that in mind if you go for a branded facial because I have experienced both sides of them – Aurelia worked perfectly for me, but sadly Skin Laundry didn’t. Of course, the upside is that because of my reaction I got to truly see what these products are capable of and they work. If you can make it to the pop-up, I highly recommend it. Aside from the beautiful products and gorgeous facials, the team are just amazing and you really get to see what a brand is about when you meet the people behind it. I was lucky enough to meet three of them (I also met the Brand Manager Georgia who was so cheerful and friendly, even at the end of the day) and they were all so welcoming, passionate and truly proud of the brand. Aurelia are one of the very best brands out there making exceptional products and I cannot wait to see what they do next. I am hoping that this pop-up is a sign of things to come because they really need and deserve their own permanent space but until then, this is a great start and if you’re in the area, check it out! 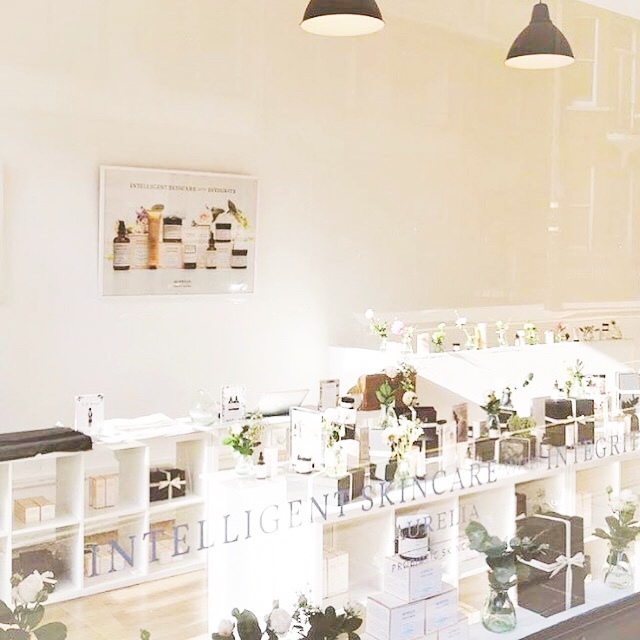 The Aurelia Pop-Up is located at 90 Piccadilly, London, W1J 7NE and you can call 0207 751 0022 to book your facial. Disclaimer: This post is not sponsored or an ad and no affiliate links have been used. So sorry to hear about your allergic reaction! I’m also allergic to Oxybenzone and have found that it’s in so many cosmetic products. I’m glad that the Aurelia facial helped sooth your skin. It sounds like a beautiful treatment. Thank you so much Grace! I seriously cannot believe that brands are STILL using this ingredient in their products when it is so widely noted as an irritant for many people. 😦 I dread to think what sort of mess my skin would be in if it wasn’t for the Aurelia facial. It worked wonders and has just reaffirmed why I love brands who really pay attention to ingredients! I started using Aurelia 2 summers ago, and have been blow away with their products ever since! I’ve tried all sorts of skincare – from harsh intensified to nearly 100% organic – but I haven’t ever seen my face glow and appear beautifully dewy as much as I have with Aurelia. I literally adore each one of their products more than the other! Unfortunately, I wasn’t able to make it to the pop-up store, but I really do hope they start offering some more of their treatments somewhere permanent in the future! I’m so glad this brand is getting more recognition as it totally deserves it!